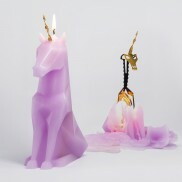 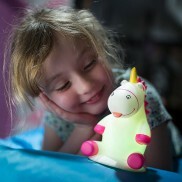 An enchanting range of lighting, toys and more featuring the mythical unicorn and a rainbow of colourful effects! 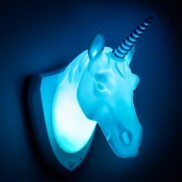 The most enchanting wall lamp of all, this unicorn lamp is packed with a rainbow of colour and has a motion sensor too! 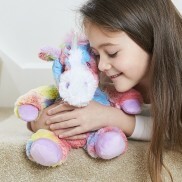 Pop this adorable Warmies Racoonicorn into the microwave for warming, cosy hugs and soothing scents. 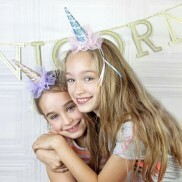 Whether it's party time or play time, everything's better when you're a unicorn! 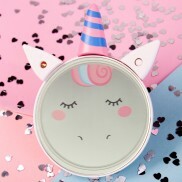 With five times magnification, this sweet unicorn compact mirror allows you to get up close and personal! 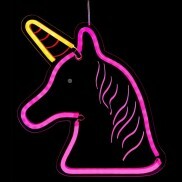 Make note taking and doodles a little more magic with a flashing unicorn pen! 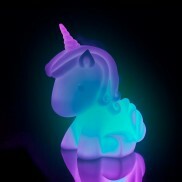 Bring magic to life in vibrant neon colour with a stunning LED neon flex unicorn light. 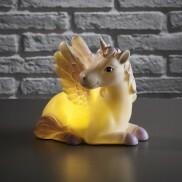 A splash of magic and a dash of glitter make this magical unicorn light a must for kids rooms! 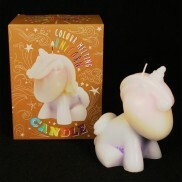 Warm up cold bleak evenings with a cosy cuddle and a touch of magic! 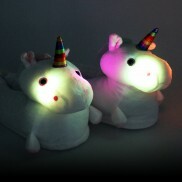 Every day's a better day when you're a unicorn and this unicorn head band lights up with flashing LEDs! 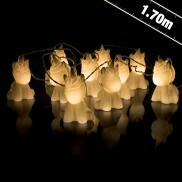 Add a touch of magic and an enchanting glow with adorable unicorn string lights. 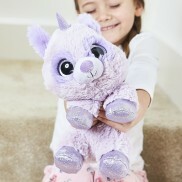 The mythical beast will become your child's best friend this winter as they sink their toes into these adorable light up unicorn slippers! 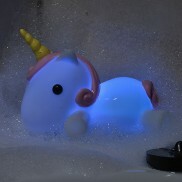 Transform bathtime into a magical experience with a colour change unicorn bath duck! 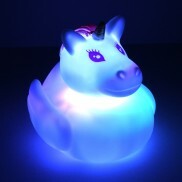 A touch of fantasy and colour change light, this giant unicorn mood light fills your space with calming colour! 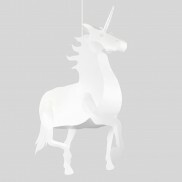 Make an impact in kids rooms and add a touch of magic with a large contemporary unicorn shade! 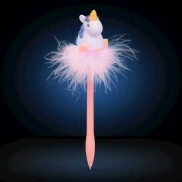 Packed with super bright blue and pink LEDs, this magical supersized unicorn wand comes in at an impressive 54cm! 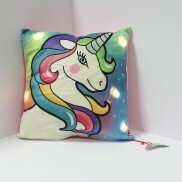 Add a splash of colour and sparkle to your room with a super soft light up unicorn cushion. 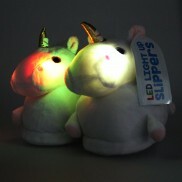 Keep your toes toasty in super soft unicorn slippers with light up cheeks that shine through a rainbow of colour! 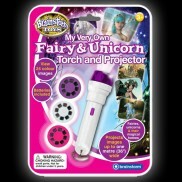 Perfect for imagination led play and magical bedtimes, this projector torch cast images of fairies and unicorns onto your walls! 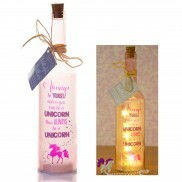 A daily dose of inspiration on a magical holographic star effect bottle.... always be a unicorn! 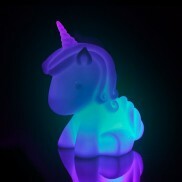 The most magical wand of all, this enchanting unicorn fibre optic torch has six cool modes!